Over the years, the commonly used extraction methods in pharmaceutical production of traditional Chinese medicine mainly include decoction, impregnation, percolation, reflux, steam distillation and so on. The commonly used drying methods of traditional Chinese medicines and Chinese patent medicines are drying, boiling drying, vacuum drying and freeze drying. The commonly used physical sterilization methods include dry heat sterilization, wet heat sterilization, ultraviolet sterilization, etc. 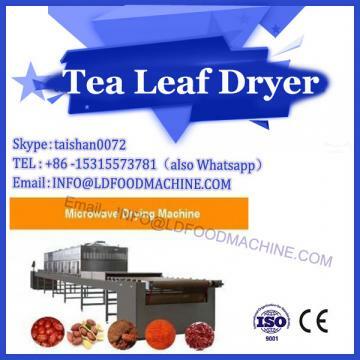 In recent years, with the continuous development of science, microwave drying technology has been widely used not only in food processing, such as tea processing, vegetable oil processing, garlic products, milk preservation and raisin production, but also in the extraction of effective ingredients of traditional Chinese medicine and drying and sterilization of traditional Chinese medicine and proprietary Chinese medicine. It has been applied and achieved good results. Microwave heating makes use of the characteristics that the time of dipole turning polarization and interface polarization in microwave field coincide with microwave frequency to promote the transition of rotational energy level of medium, intensify thermal motion and convert electric energy into thermal energy. Microwave has a strong penetrating power. When extracting effective components of Chinese medicine, it can be heated evenly and rapidly inside and outside Chinese herbal medicine granules. On the one hand, it can make the average kinetic energy of molecules increase rapidly, and the ionized substances move at very high speed in the ultra-high frequency electric field. Because friction can produce thermal effect, a large amount of heat generated during the process will prompt the rapid rise of intracellular temperature of Chinese herbal medicine granules, which will cause the vaporization of water in cells to produce a certain pressure, and will cause cell membranes and cell walls. It breaks through and forms tiny holes. Further heating will result in the reduction of water volatilization in the cell interior and cell wall, the shrinkage of the cell, and the appearance of cracks on the surface. The appearance of holes or cracks makes it easy for extracellular solvents to enter cells, dissolve and extract the effective components of cells. On the other hand, the electromagnetic field generated by microwave accelerates the diffusion speed of the extracted active ingredients of Chinese herbal medicine to the interface of extraction solvent. When water is used as solvent, the water molecule turns into an excited state at high speed under microwave field, which is a high-energy unstable state or the driving force of vaporization of water molecule to enhance the extraction of effective ingredients. Or water molecule itself releases energy back to the ground state, and the released energy is transferred to the active ingredients of traditional Chinese medicine and accelerates their movement, which shortens the time for the molecules of extractive ingredients to diffuse from the inside of the granular cells of herbal medicines to the interface of extractive solvents, thus increasing the extraction rate. 2. When material is dried and sterilized, the high frequency electromagnetic wave penetrates into the material which is dried and sterilized to produce two effects: first, it interacts with polar molecule in the material and converts it into heat energy, which makes the molecule inside the material obtain heat rapidly at the same instant; second, it interacts with the biological active components (such as proteins and enzymes) or Compounds (such as bacteria, mold, etc.) interact to inhibit or stimulate their biological activities. The former is called the heating effect of microwave on materials, and the latter is called non thermal effect or biological effect. It has been reported that the non-thermal effect of microwave electromagnetic field in the sterilization process is the leading factor of bacterial death, which can greatly shorten the sterilization time and temperature. The application of microwave technology in the extraction of effective components of traditional Chinese medicine is called microwave extraction, also known as microwave extraction. It is a new technology applied in Chinese herbal preparations in recent years. It is a new method of combining microwave with traditional solvent extraction. 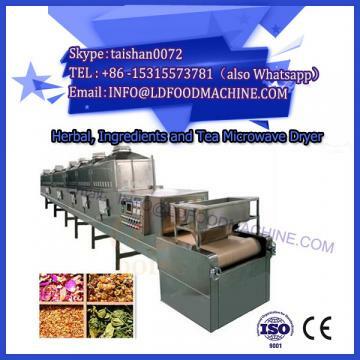 The application of microwave technology in drying and sterilization of Chinese herbal medicines started earlier than extracting the active ingredients of Chinese herbal medicines, especially in food, organic synthesis and inorganic synthesis. At present, it is also applied to the sterilization of fresh Chinese herbal medicines before drying, Chinese herbal powder, Chinese herbal pieces and Chinese patent medicine pills. Compared with the conventional drying method, it not only saves time, but also improves the production efficiency, but also greatly improves the quality of chrysanthemum, and increases the competitiveness of chrysanthemum products in domestic and foreign markets. Microwave oven drying sterilization treatment, the result is good sterilization effect, fast drying speed (only a few minutes, and inside and outside drying uniform, the surface color of pills is the same, roundness is good. It was also reported that honey pills, water pills and decoction pieces of Chinese patent medicines were dried and sterilized by microwave heating method, and compared with the drying method, the results showed that microwave heating drying was fast, efficient and uniform. And the effective ingredients of the pills are basically unchanged. 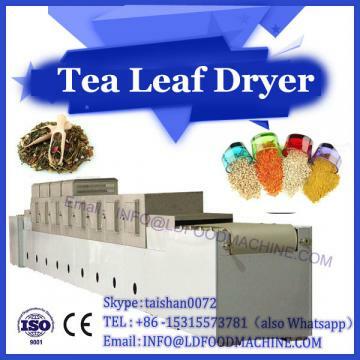 The appearance, shrinkage and disintegration of the pills are better than that of the oven drying method. Microwave extraction has the advantages of fast extraction, high efficiency, low energy consumption and low cost. The microwave drying sterilization method has better effect, shorter time and lower temperature than conventional drying and sterilization. Compared with the raw drug powder, the total number of bacteria decreased. The longer the microwave action time was, the better the sterilization effect was. The microwave drying sterilization of drugs with unstable hot-pressure vapor was also stable. In a word, microwave technology is a continuous and automated pharmaceutical production, with high process efficiency, no sultry high temperature and steam emission in the workshop, which is conducive to improving the working environment and worthy of promotion and application in pharmaceutical production.